Mining - whether it involves coal, metals, or minerals - is a tough industry. 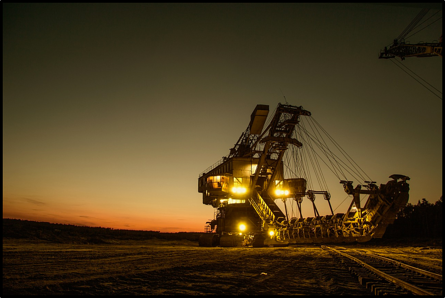 The equipment used in mining needs to be equally tough, and the working conditions for mining equipment pose a rather unique combination of problems when it comes to hydraulics. 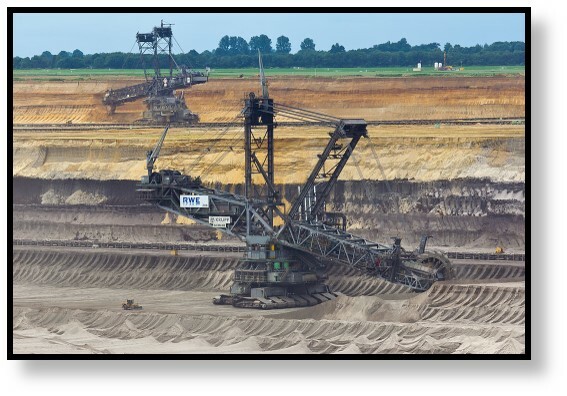 In this Shop Talk Blog post, we are going to talk about the issues involving the use of hydraulic components in mining equipment. Mining is very important to the American economy and way of life, especially when you consider that about 50% of our power is supplied by coal. 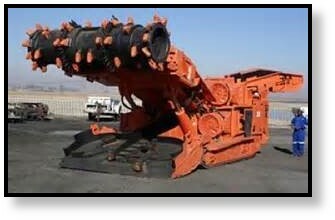 Mining equipment is known for being big, tough, and rugged. Over the years, hydraulic components, including hydraulic motors, have become a key part of this powerful equipment. You’ll find hydraulic components in everything from excavators and hydraulic shovels to mining trucks and continuous bore mining machines. When selecting hydraulic components for such equipment, there are certain issues that have to be addressed. A good definition of shock loadings comes from E&MJ: “repeated and sudden variations in load.” These variations in load can do major damage to equipment. The impact is transmitted through the system to components like gears and bearings where it can do significant damage. One of the reasons hydraulics is a popular choice for mining equipment is because of the ability of hydraulic fluid to absorb a significant part of that impact by acting like a spring. Even still, components need to be designed with potential shock loadings in mind. Mining has always been a dirty job -- literally. Dirty working conditions are a major problem for hydraulic systems used in mining operations. Any hydraulic component within a mining machine -- including hydraulic motors and pumps -- must be tolerant of contamination. And that is a major challenge, because contamination is one of the top causes for hydraulic system failure. Often, mining equipment is required to work in remote locations, including deep underground. Getting technicians to the site of a broken down machine, especially if the failure is with one of its propel motors, can be a major undertaking and involve several hours of downtime. Mining operations can’t afford that kind of delay, so hydraulic components need to be especially reliable. Maintenance for these machines can be a challenge too, and may be difficult to perform. For mining equipment that operates underground, like the Hydra Drive mantrip, size can be very important because axial space is often very limited. Hydraulic transmissions are often chosen because they are a more compact option. However, these propel motors, whether they are wheel motors or track motors, must have high power density and torque density. Torque density is the amount of torque provided per unit volume, making it a function not just of how much torque the motor can produce but how much space the motor takes up. When it comes to hydraulic equipment in mining, the major concerns are typically shock loadings, contamination tolerance, high reliability, and the need for high power and torque density. Whether looking for a motor or a pump, these issues need to be addressed when specifying the characteristics you need.